Can You Fly Your Drone Over Lake Lanier? On July 8, 2018, our pals at the US Army Corps of Engineers (USACE) at Lake Lanier posted the definitive answer on their Facebook page. Kind of. Yes, you can fly your drone over Lake Lanier — if you follow the USACE process and seek permission 30-days in advance. In other words, no you cannot fly your drone over Lake Lanier if you do not follow the USACE process to get permission. This process will work well, if you’re planning a lakeside wedding and you can inform the USACE — in advance — where you will using your flying camera and who will be at the controls, for example. If you slug down a couple of beers and want to spontaneously want to awe your pals with aerial photography? Nope. That’s prohibited. Can you use a drone to record your friend catching a fish on Lanier without permission? No. Nick Baggett — USACE Natural Resource Manager for Lake Lanier — kindly helped clarify this new regulation in a phone call with me on July 11th. His comment “laws haven’t caught up to this new technology” explains part of the difficulty of regulating the use of drones. The primary issues are safety and invasion of privacy by drone operators. Many complaints have been registered due to low-flying drones over beaches, boats and large groups around the lake, in addition to creeps making videos of their neighbor’s second-story rooms. Drones filming individuals in fishing tournaments have also caused issues. Lake Lanier is federal property under the supervision and authority of the USACE, including spaces leased from the USACE by marinas. That means the entire body of the lake and the shoreline are covered by this new rule. To understand more about what the Federal Aviation Administration calls “unmanned aircraft systems” or UAS, please click on this link: FAA UAS Information. All requests for drone operation at the project must be submitted 30 days in advance. That’s simple enough. You can buy a drone and fly it around a specific area at a specific time, if you requested permission a month in advance and your request was approved. Requests must include contact information, location, day of event, map of area that drone will be operated in, licensing, training/certification, FAA , etc. Nick Baggett told me applicants should supply complete details about who will fly the drones, over what area on what day and at what time. To make a proper decision, they want to know what qualifications or licenses the operators have, or what experience they might have. They ask for as much specific details as possible, including your FAA pilot certification information. The goal is to defend the public from invasive low-flying cameras on drones, and flying over groups of individuals on Corps property, and more. Mr. Baggett said the USACE understands new usages of drones — realtors making and posting videos of houses for sale, and home owners using them for their private use on their own property — that are not subject to prohibition. He also said the requirement for advance permission to fly your drone over Lake Lanier is not a local proclamation. In fact, every application will be forwarded to the USACE office in Mobile, Alabama, and will be reviewed by the staff there. If approved, the papers will be signed and returned to Lake Lanier for notification to the applicant. Yes, this is going to be a hassle for everyone. 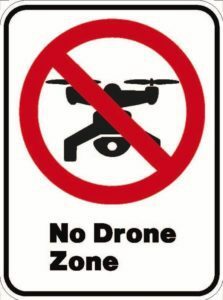 No, not everyone will abide by this requirement to obtain permission in advance to fly a drone. It is what it is. If it changes, we’ll let you know. Thanks for sharing this information Robert. 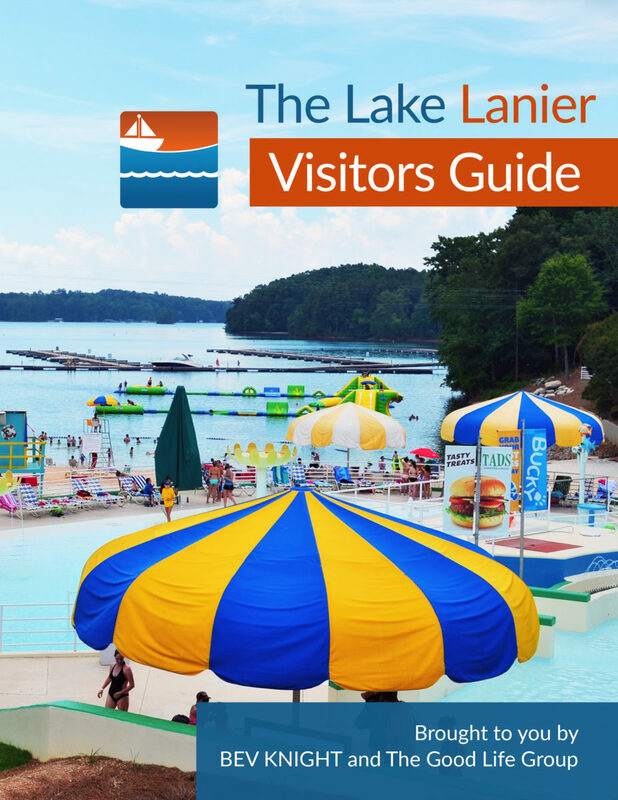 I’ll be visiting Lake Lanier area soon, it’s always good to know before you go. Just goes to show that we should never just assume it will be ok to fly a drone anywhere!